Last Sunday, as people were leaving and hugging me and making me cry, one woman (a breast cancer survivor) told me how smart I was to get that weird spot on my abdomen checked out and for getting a second opinion because she found her lump and the first doctor she saw didn’t think it was a big deal and sent her home. The second opinion doctor immediately ran tests and found out it was cancer and that it had grown remarkably since the visit with her first doctor. So I started thinking about the importance of knowing your body and all of the warning signs I was having that I ignored. 1. As already mentioned, I was HUGE when I was pregnant with Caleb. People keep asking why they didn’t see it on an ultrasound. I think it’s because both my babies hung out on the right side of my uterus (perhaps because the football was pushing them over)…whenever they did an ultrasound, they always stayed on the right side. 2. 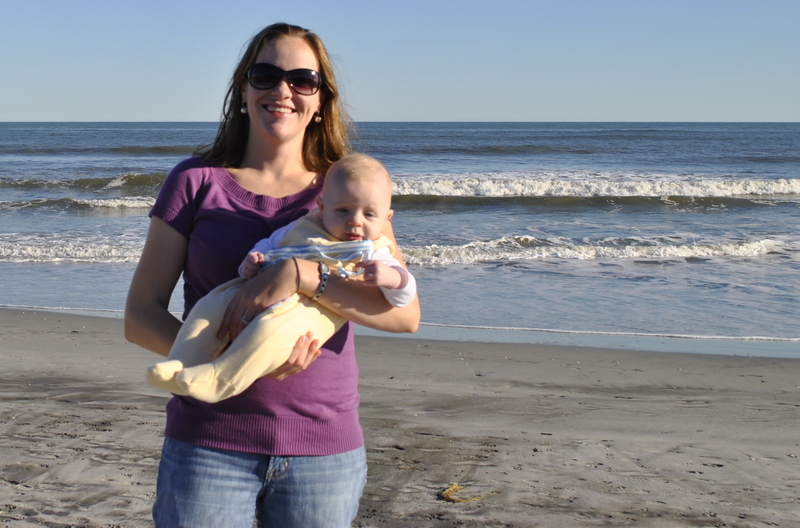 Caleb was born in July and I slowly started losing the baby fat…until late November. The picture below was at our Women’s Retreat in the middle of November. Not super trim, but not big either. Later in the month, I started noticing that my abdomen was getting bigger again. I thought it was just the four Thanksgiving dinners. But it continued and my clothes were starting to not fit well again…but I thought that was because of the Christmas dinners. Except that I wasn’t really gaining weight…just my tummy was getting bigger. 3. On December 10, I went to a wedding that Russ was officiating and took Taylor. We had fun, but about 10 minutes into the reception, my back started killing me. I could barely sit it hurt so bad. So we left early (didn’t even get cake!). By the time I got home, I hurt everywhere and collapsed on the couch while Grammy came to my rescue and got Taylor ready for bed. It took four motrin before I could sleep. I think it was because I was wearing a skirt that was a little snug (since my belly was getting bigger) and it was pushing too much on the cyst, which was pushing on my kidneys and everything else. 4. I’ve always had stomach issues, but my stomach was hurting more often. All of these things (back pain, belly getting bigger, stomach hurting) led me to think (fear) that I was pregnant again. But I figured out that I wasn’t…and didn’t really think too much about the symptoms again until I started poking around on my belly. I remember feeling stupid for even asking Russ because I thought it was probably just a body part I hadn’t felt before. And when I went to the OB, she didn’t really feel it, and I could tell that she thought I was overreacting a little. BUT I’m glad I got it checked out and that I got a second opinion from a doctor who definitely seems to know what he’s dealing with better than the first. So, I say to you, dear internets….know you body and if something doesn’t seem right, get it checked out. two or three times.